At the time of the interview, Sabrina Aloueche was appearing as Scaramouche in the hit musical We Will Rock You at the Dominion Theatre. She is absolutely brilliant in the role and the manner in which she portrays the humour of the character is fabulous. She concludes her role as Scaramouche on 8th October, so if you want to see Sabrina perform in the show you had better book soon! Earlier this week I asked Sabrina some questions about herself and her career. Did anyone inspire you to want to be on the stage and at what age did you first tread the boards? Honestly… and this will definitely disturb a few of you but I owe it all to a cute (verging on scary) little orphan, known as Annie. I was obsessed with the movie as a toddler. I couldn’t comprehend how so many tiny kids could sing and dance so well. I wanted to be them… minus lack of parents and dirty faces. I would watch many musical films as a child, and the more I would learn the songs, the more I’d annoy my mother singing them all hours of the morning – through to the night, so finally she gave in and found me a haven especially for musically affected kids… stage school! Do you have a favourite memory of your time training at the Sylvia Young Theatre School? No one clear memory stands out of my time there, I took with me an accumulation of wonderful experiences, a collective. I remember the euphoria of running up the echoey stairs of the “church conversion” towards singing class, always singing and warming up as we went, always three steps at a time! We had such a desperation for the stage and such a hunger for realising our dreams. Summer schools were great fun too, where a group of us would put on a musical production and spend three weeks rehearsing it and the fourth putting it on for all our parents. When did you make your professional acting debut and what was the experience like? I guess I was 7 when I made my professional acting debut. I was playing the young role of little Cosette in Les Miserables, which was at The Palace Theatre at the time. The theatre was HUGE. I was 4 foot nothing and I literally was in awe every time I walked through the stage door. I don’t think I blinked once the whole time I was there!!!! I mixed with some amazing people and the whole experience was essential to where I am today. It solidified my passion and goals. I hated going home after the interval (which is the time young Cosettes/young Eponines went home) I always cried!! I wanted to stay and watch act 2!! As a teenager you appeared on television in shows such as Casualty (BBC); Grange Hill, Billy Webb (CBBC); 999 (BBC); Teenage Health Freak (Channel 4). What were the highlights from then? I loved working on TV. It was a completely different world to theatre on every level. The highlights for me were just the novelty of being “on set”, having dinner with all the cast and production team, getting into hair and make-up trailers on site, and having cameras everywhere! I also died GREAT! Ask anyone – I am a great dying person……! In Casualty I died of an asthma attack – I had asthma at the time, so I knew the ins and outs of how it felt to feel like you’re slowly suffocating! In 999 Recon I died in a boating accident in the British Isles! Freezing water for 3 days! In South of the Border, I was a bridesmaid at a wedding who got shot and killed. I love all kinds of drama! Following the role of Cosette you performed as Eponine at The Queen’s Theatre. How did it feel playing in the same show again and how would you describe your Eponine? I played Eponine at The Queen’s Theatre. So already the feeling of complete nostalgia was tamed slightly! I remember there being four of us at the final audition. There were two Eponines and two Cosettes. We all talked nervously amongst ourselves, before being called in pair by pair and finally, after being swapped around all day, the runner dismissed two of the girls and it was Gina Beck and I that were left. A few days later I got the call to confirm the part was indeed mine and Gina contacted me later on to let me know she had got the part too! We found out that we lived 5 minutes walk from each other strangely enough and together started our journey to our first day of rehearsals… and so it would continue! My Eponine was determined. She was never weak. I never went on stage with the view on having the audience feel sorry for me. Of course they always did. I feel her weaknesses were exposed through her strengths. Being so strong willed and defiant made her death scene all the more poignant. I smiled whilst dying too… I never cried.. I was (as Epoinine) where I always wanted to be, lying in Marius’s arms… a bit of a price to pay, but worth it, it was a beautiful show to be part of. The cast were all so inspiring on that stage. You would see them all at warm up, chatting and joking around, and then on stage you’d almost not recognise them, it was amazing to watch as an actor! I learnt a lot with that show. What were your favourite songs from Les Miserables? Do You Hear The People Sing (reprise) and At the End of the Day. I got butterflies every single night with those two. You have worked for three years in We Will Rock You, how would you define your character of Scaramouche? Scaramouche would hate to be “defined” as anything. She wouldn’t want to be summed up/labelled! I think my character has a very dry wit, an extremely nervous disposition. She uses humour and back handed jokes as a defence tool. Similarly to Eponine, she hates the idea of being pitied. She is an outsider BY CHOICE! She has a good heart but is scared to expose it. You have quite a few comic lines in We Will Rock You. Does this reflect your personality? I think I rely a lot on comedy in my day to day life! A conversation without laughing doesn’t really exist in my world. I adore banter. I think the connection you make with people over a sincere laugh is beautiful! It’s a shame as I do think we are (as a cast) funnier backstage than on stage!!! That’s not taking away from what we do within our character choices at all. But we honestly spend 90 percent of our time backstage on the floor in stitches at something or other! What is it like backstage in We Will Rock You at the Dominion Theatre? In a word – crazy! What do you like to do to prepare for going on stage, do you have set routines? I am the personification of “set routines”! It serves me well to be OCD ridden in that theatre!! After warm up I go straight up to wigs. After wigs I always go down the same staircase to get to my dressing room. I bash on my iTunes, usually (and this is going to sound simply terrible) Kelly Clarkson. BUT only because I get a great warm up to all her songs! Make-up goes on, then costume, then leg it down the second staircase towards the stage for Break Free. As Galileo sings, I’m usually found pacing up and down back stage singing along with him, at this point I start getting very nervous. Probably shouldn’t admit this but I do get very bad stage fright! So I have to keep moving, jumping up and down on a the spot, joining in with the script the Teacher and Galileo are doing on stage just to keep my mind off everything! What is your favourite song from We Will Rock You? Somebody to Love. I literally feel every word of that song as Scaramouche would feel it. Absolutely love singing that song. I also love Who Wants to Live Forever – which genuinely gives me goose-bumps every night. Your songs released online are in excess of 10,000 downloads: An actress or popstar, where would you like your future to be? I never really wanted to be a popstar. I don’t like “celebrity”. Plus I hate the idea of being a product, or a marketing tool. I would absolutely choose being an actress, it’s where my heart lies and where I see myself heading. “Act One Songs From The Musicals Of Alexander S. Bermange” is to be released in September 2011. You sing on two of the tracks – Trial Of The Heart with Ricardo Afonso and Cassandra Compton, and The Threshold Of Her Heart with Dean Chisnall. What was this experience like? It was lovely working with Dean Chisnall. He is such a nice guy and ever the professional too. I believe he is currently covering SHREK in Shrek the Musical (obviously…!). Cassie Compton is a dear friend of mine so it was lovely working with her, and Ricardo Afonso is a living legend, always an honour working with him, he is the nicest guy you could ever wish to work with. You complete your role in WWRY soon, what are your plans after your run in the show concludes? I have a few projects lined up with many gigs and a concert too. 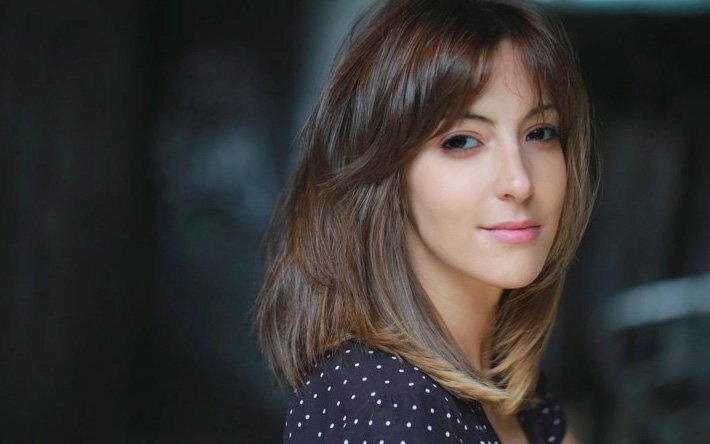 I would love to focus on building my experience as an actress. Be part of an original production, putting my own stamp on a part – that is my next goal. If you could perform in any other West End show, past or present, what role would you choose and why? Ellen – Miss Saigon, Mary – Jesus Christ Superstar (only because I can’t play Judas), Elphaba – Wicked, Sheila – Hair, Maureen – Rent, Molly – Ghost, Fantine – Les Miserables, so there are still a few jobs left to do! Who would you say has had the biggest influence on your career? My mother. She has influenced me in terms of being my strength when I honestly had nothing left! Believing in me when I couldn’t do that for myself. Pushing me to go to open auditions as I had no agent. Saving her pennies so she could take me to watch our annual West End show! Ah she’s just been mega throughout my entire life/career. Absolutely my biggest influence. What would you say to any young person thinking of a career on the stage? Stay true to yourself. Be strong. Believe in your own abilities, never compare yourself to others, you always will have something different, something unique to yourself to offer. Get training, singing lessons, acting classes, dance classes. Give yourself as much of a base as possible before launching into the industry. Away from the stage, what do you like to do to chill out? I am a self-confessed BUM. I love a bit of couch surfing on a day off! Watching movies, curled up with the dog! Listening to great music, going to gigs, going to the theatre, cinema, seeing friends, SHOPPING and people watching. Finally, what message would you like to say to your fans and anyone else? THANK YOU for all of your support! I love hearing from you all on Twitter! Most of my fans are as mad as me.. so we get on brill! Thanks Sabrina for taking time to take part in this interview, and wishing you the very best in your career.